Die Geschichte von Leica ist eng mit der Geschichte der Leitz verknüpft. Im Folgenden präsentieren wir Ihnen eine Zusammenfassung der wichtigsten Meilensteine in einer bewegten Geschichte. 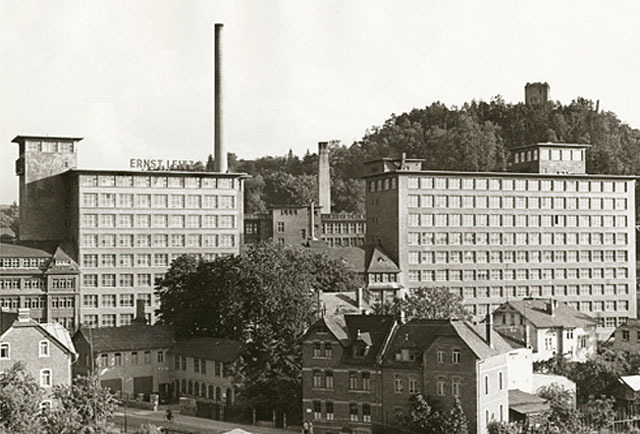 The history of Leica is closely linked with the history of the Leitz works. In what follows, we present you with a summary of the most important milestones in an eventful history. Gegründet 1849 in Wetzlar, Deutschland. Zuerst als "Optisches Institut" (1849), dann "Ernst Leitz Optisches Werk" (1869), Leica GmbH (1986), Leica Camera AG (1998). Founded 1849 in Wetzlar, Germany. 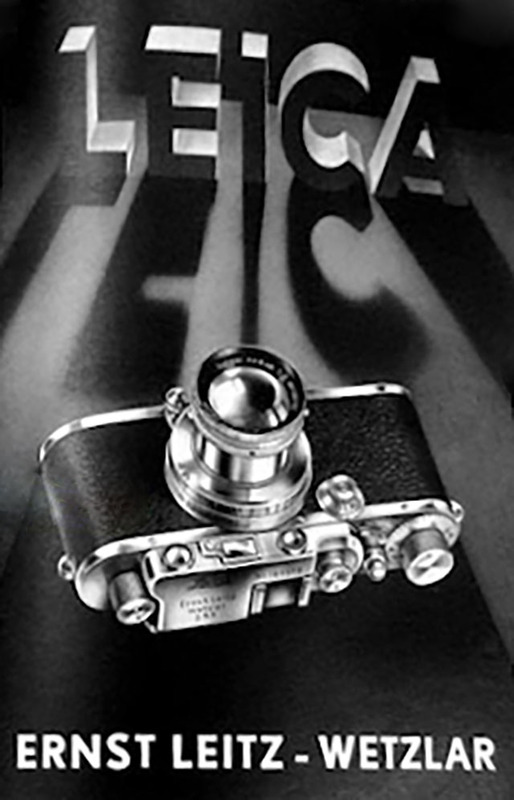 First as "Optical Institute" (1849), then "Ernst Leitz Optical Industry" (1869), Leica GmbH (1986), Leica Camera AG (1998). Der 23 jährige Mathematiker Carl Kellner aus Hirzenhain gründet in Wetzlar ein "Optisches Institut" zur Entwicklung von Optiken und Mikroskopen. Der Feinmechaniker Ernst Leitz wird Teilhaber der Firma. Ernst Leitz übernimmt die alleinige Geschäftsführung der Firma und baut sie unter seinem Namen aus. Das 10.000. Mikroskop wird hergestellt, die Mitarbeiterzahl liegt bei 120. Ernst Leitz führt den 8-Stundentag ein und gründet die Gesundheitsversicherung. Oskar Barnack entwirft den ersten Prototyp einer Kamera, die mit 35 mm-Kinofilm arbeitet (»Ur-Leica«). Das Kleinbildformat von 24 x 36 mm ergab sich damals aus der Verdopplung des Kinoformats. Erste Fotos von für damalige Verhältnisse hervorragender Qualität entstanden 1914, die erste LEICA (Leitz Camera) ging erst 1924 in Serie und wurde 1925 der Öffentlichkeit vorgestellt. Nach dem Tod von Ernst Leitz I übernimmt Ernst Leitz II die Führung der Firma. Leica mit fest eingebautem Objektiv: Ernst Leitz II. trifft die Entscheidung, die von Oskar Barnack konstruierte Kamera in Serie zu bauen; die Produktion wurde u.a. durch den ersten Weltkrieg verzögert um mehr als ein Jahrzent verzögt. Das Werk hat mittlerweile 1.000 Beschäftigte. Auf der Frühjahrsmesse in Leipzig wird die Leica (Leica mit fest eingebautem Objektiv) erstmalig der Öffentlichkeit vorgestellt. Uleja: Erster Kleinbildprojektor von Leitz. Leica II mit eingebautem und gekuppeltem Entfernungsmesser kommt auf den Markt. Gründung der Leica Schule, aus der später die Leica Akademie wird. Leica IIIf mit stufenloser Blitzsynchronisation. Bau der Produktionsstätte in Kanada mit Sitz in Midland, Ontario. 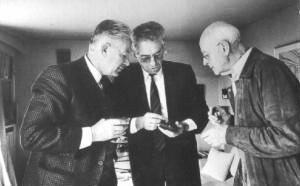 Die Söhne von Ernst Leitz II, Ernst Leitz III, Ludwig Leitz und Günther Leitz übernehmen nach dem Tod ihres Vaters die Leitung des Hauses. Im April wird die Produktion im Werk Oberlahn aufgenommen. Das Werk Portugal in Vila Nova de Famalicão in der Nähe von Porto nimmt seine Arbeit auf. Leica M6 mit integrierter Belichtungsmessung durch das Objektiv, rein mechanisch. Gründung der Leica GmbH zur Bündelung der Aktivitäten im Fotomarkt. Die Ernst Leitz Wetzlar GmbH und die Wild Heerbrugg AG werden am 1. Januar zum Wild Leitz Konzern zusammengefaßt. Das neue Unternehmen beschäftigt insgesamt 9.000 Mitarbeiter. Bezug des neuen Werkes in Solms in der Nähe von Wetzlar. Die Fusion der Wild Leitz Holding AG mit The Cambridge Instrument Company plc läßt den neuen Konzern Leica Holding B.V. entstehen. Damit steht der Name Leica auch für den führenden Anbieter von Mikroskopen, Vermessungs- und Photogrammetriesystemen sowie optisch-wissenschaftlichen Instrumenten. Übernahme des Zett-Geräte-Werks (ehemals Zeiss-Ikon) in die Leica Camera Gruppe und Gründung der Leica Projektion GmbH. The 23-year-old mathematician Carl Kellner from Hirzenhain establishes an "Optical Institute" in Wetzlar for the development of lenses and microscopes. The first lenses and microscopes are introduced onto the market. 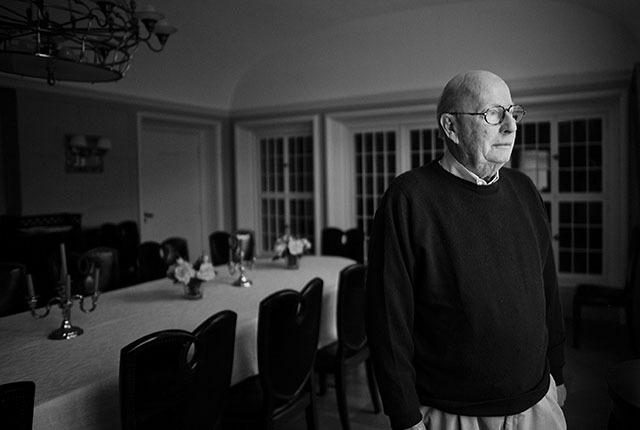 After the death of Carl Kellner, his widow continues the business with twelve employees. The precision mechanic Ernst Leitz becomes a partner in the company. Ernst Leitz takes over the sole management of the company and expands it under his name. The 10,000th microscope is produced, the number of employees is approximately 120. Ernst Leitz introduces the 8-hour day and founds a health insurance association. After the death of Ernst Leitz I, his son, Ernst Leitz II, takes over the management of the company. 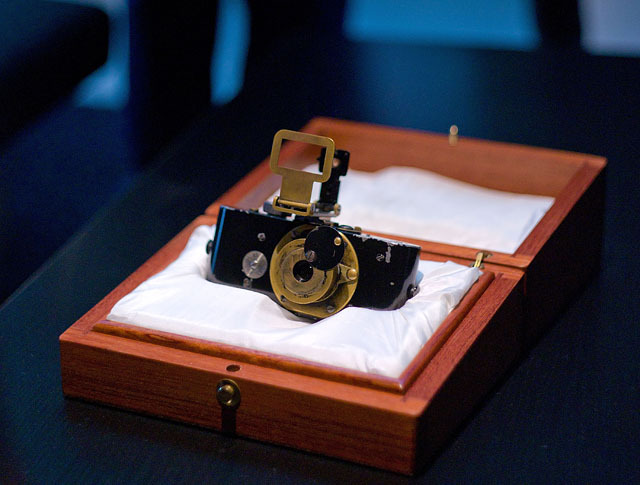 At the spring fair in Leipzig, the Leica camera is presented to the public for the first time. Foundation of the Leica School which later becomes the Leica Academy. Construction of the manufacturing plant in Midland, Ontario, in Canada. The sons of Ernst Leitz II, Ernst Leitz III, Ludwig Leitz and Günther Leitz, take over the management of the firm after their father's death. In April production starts in the Oberlahn plant. The Portugal plant in Vila Nova de Famalicão near Porto starts production. Foundation of Leica GmbH in order to bundle activities in the photo market. 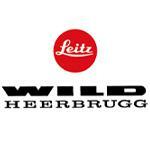 On the January 1st, 1987, Ernst Leitz Wetzlar GmbH and Wild Heerbrugg AG merge to form the Wild Leitz group. The new company employs a total 9,000 people. Move to the new plant in Solms near Wetzlar. The merger of Wild Leitz Holding AG with The Cambridge Instrument Company plc creates the new Leica Holding B.V. group. 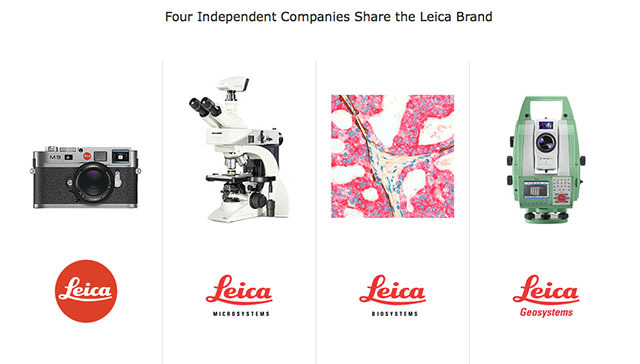 So now the Leica name also stands for the leading manufacturer of microscopes, surveying and photogrammetry systems, as well as optical-scientific instruments. On April 1st, Leica takes over the camera division of Minox GmbH, manufacturer of sub-miniature and miniature cameras. On July 25th, 1996 the Leica Camera GmbH is transformed into a public company. Now the company is called Leica Camera AG. Once photographing meant a large box camera on a tripod, shifting film plate after each shot - and working with a dark cloth over your head and the camera. The Leica was extremely compact and could be fitted with a very high quality lens that enabled photographers to work in ordinary outdoor settings with available light. It was always instantly ready to capture life and action effortlessly from any angle with the photographer often able to remain unnoticed. Without the usual heavy equipment, photographs of people no longer had to be confined to stiff conventionally artistic poses. 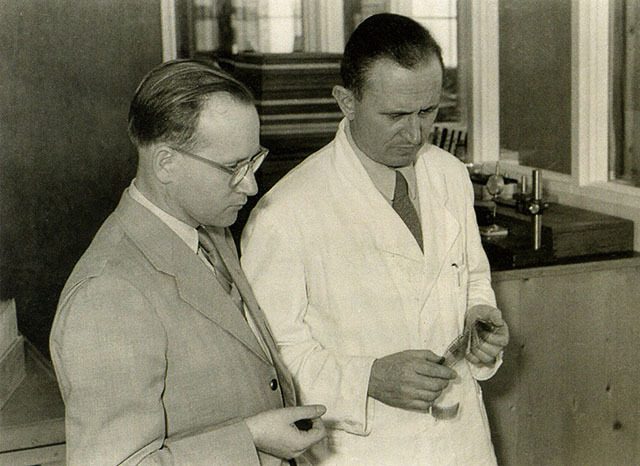 Oskar Barnack was headhuntet from Carl Zeiss to be the manager of the Research & Development Department at Leitz. He became the designer of the Ur-Leica which he made two (possibly three) samples of in the period 1912-1913 with the purpose to test film stock and/or lenses for movie films. Or perhaps because he couldn't carry the traditional large plate cameras and wanted a smaller camera for him self. The reasons told today are many, but that the Ur-Leica was designed as a compact means to test film stock is the most reliable. As early as 1905, he had the idea of reducing the format of negatives and then enlarging the photographs after they had been exposed, "Small negative, large picture", involving a small camera and an enlarger. In any case, he learned that it could actually be turned into a new type of compact as the "rotated" film format of film was plenty sharp (the film format was 24x18mm for large cinema theater screens, and rotating the film inside the camera and doubling the area made the 24x36mm format). With the development of an enlarger the reduced negative format could then be printed in a larger size than the negative. Another Leitz employee, Max Berek, was instrumental in developing a lens for this camera, as he developed the first 50mm f/3.5 lens as the optimum focal length for the 24 x 36mm format. Ernst Leitz II decided to put it into commercial production in 1924 after they had produced a limit run of 31 Leica O Series cameras the year before. Ernst Leitz II made this decision on his own as all of his advisers warned him against the large risk it would involve for such a rather small company to enter the camera market. Eleven years later, in 1935, the camera and enlarger section was the most profitable for the company that still produced microscopes and huntingscopes. 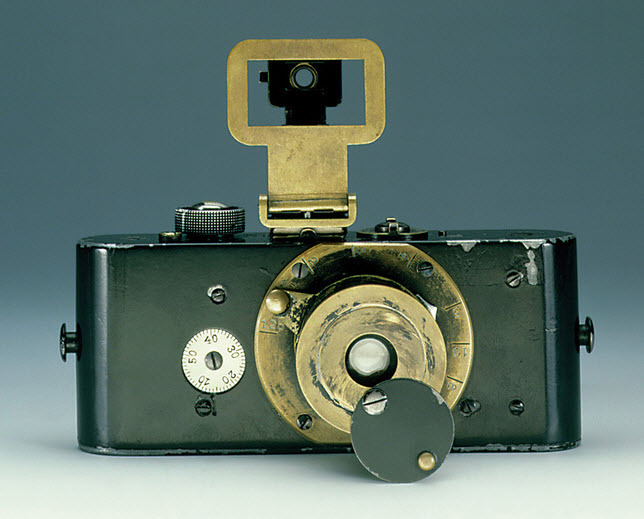 "Barnack's camera," "Barnacks apperatus", or the Ur-Leica as it is called, built by Oskar Barnack in 1912-1913. Other prototypes were made after this one, and finally a limited run of 31 Leica O Series in 1923 to test the waters. It was first really introduced to the market as Leica A at the 1925 spring fair in Leipzig, and then they sold 1,000 the first year. The original camera (above) resides in a safe at Leica Camera AG. Probably only one (some say only two or three) were made, and this one was supposedly renovated after a fire. Photo: © 2012-2015 Thorsten Overgaard. A 1923 handmade prototype no 107 of the [between 25 and] 31 made - only twelve of them are known to exist today - was sold on May 28, 2011 for €1,320,000. In May 2012 prototype no 116 was sold for 2,160,000 at the 21st WestLicht Photographic Auction in Vienna. 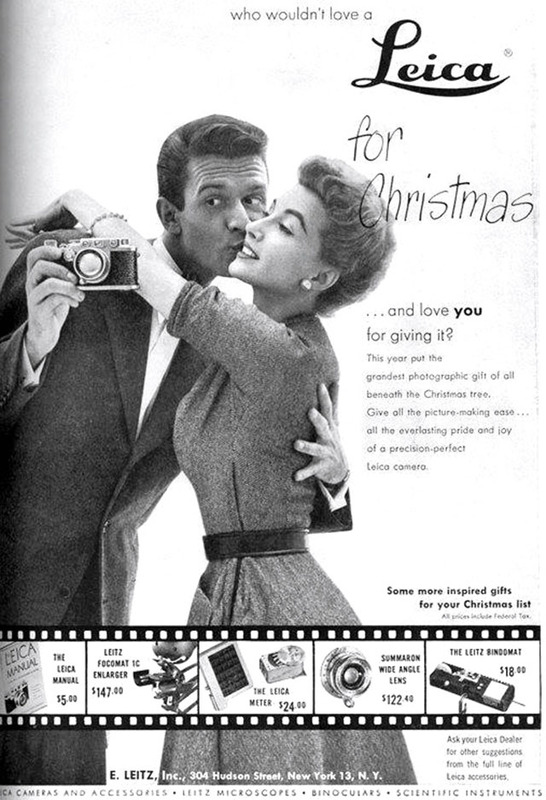 Those cameras didn't have a model name at the time, just a serial number. See page 2. A test shot done by Oscar Barnack ca. 1914 in the city of Wetzlar, using the Ur-Leica. Ernst Leitz I becomes partner in the factory "Optical Institute" [founded 1849 by Carl Kellner to produce optical microscopes] with its twelve employees in 1865 together with the widow of the original founder and her husband, Friedrich Behltle (an apprentice of Kellner who married the widow after Kellner died in 1855 of Tuberculosis at age 29). In 1869 he takes over the sole management and expands it under his name: Ernst Leitz Optical Industry. Twenty years later there is 120 employees and they have sold their microscope no 10.000. The company is run as a family company, as it was tradition in those days where sons would take over their fathers work and often 2-3 generations would be in the same company. In fact also amongst the amployees, sons and gransons would often follow their parents careers in companies like Leitz. Leitz family ownership of the company will last for more than 100 years this way, till they had to sell in the 1970s. Ernst Leitz II was partner in the business since 1906 and takes over after his fathers dead in 1920. When he decides to start production of the Leitz camera in 1924 there is 1,000-1,500 employees in the company. Ernst Letiz II was also the one helping hundreds of jews flee Germany during the World War, together with his daugher Elise Kuhn-Leitz (see story about the "Leica Freedom Train" on page 2). Ernst Leitz II was awarded the title honoarry citizen of Wetzlar in 1949. He built the house "Haus Friedwart" (now a tourist attraction) with his second wife Hedwig Wachsmuth [1877–1937] after his first wife, Elsie had died in 1910, leaving Ernst Leitz II alone with their three kids in his previous house, "Rosenberg" at Laufdorfer Weg 3. Henri Cartier-Bresson was stayed in Haus Friedwart when he visited Wetzlar, and was a friend of the Leitz family and Ernst Leitz II's daughter of his first wife, Elsie Kühn-Leitz (1903-1985). 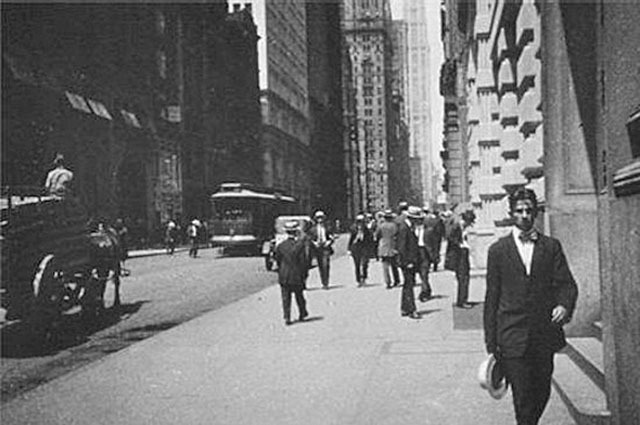 Ernst Leitz II took the miniature camera, the first Ur-Leica to New York and made this photo in Manhatten, 1914 or 1924. As Ernst Leitz I's eldest son Ludwig Leitz (who had taken care of the American arm of the business) had died in a riding accident in 1898, the Swiss grendnephew of Ernst Leitz, Henri Dumur, was imported to Wetzlar where he trained to become a manager. First as commercial director, later (during the World War II years) the managing director together with Ernst Leitz III. 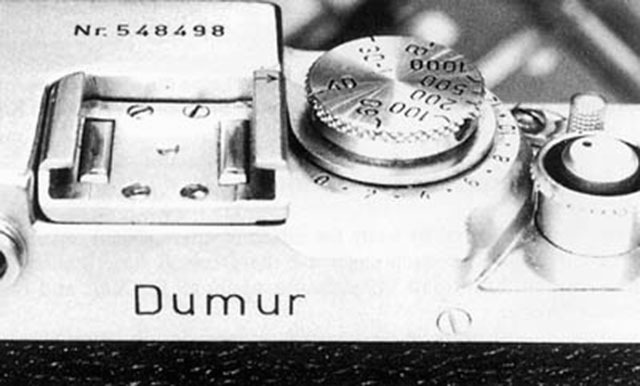 A Leica IIIf ’Henri Dumur’ model was dedicated to him. He joined the family business as an apprentice mechanic in 1924 (and studied physics in Berlin). When Ernst Leitz KG and Ernst Leitz GmbH were combined in 1930, the barely 24-year-old was appointed managing director, with Dr. Henri Dumur. 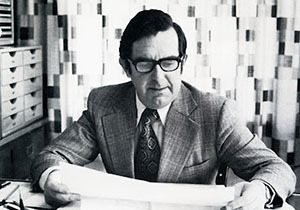 He stayed as CEO till 1974 and then retired to be Vice Chairman of Ernst Leitz GmbH for another four years. He was a founding member of the CDU in Wetzlar in 1948 and was on the city council as well for a long time. Considering how many cameras they made and sold during his period, it is amazing that no picture seem to exist of Ernst Leitz III. The Ernst Leitz Optical Industry factory buildings ca 1940 in Wetzlar, Germany. They were called the Leitz High-Rise Buildings I and II and was finsihed in 1935 and 1938, designed by Wetzlar architect Jean Emil Schmidt (who also designed both the 1907 facotory building and Ernst Leitz I's private villa up the hill at Laufdorfer Weg 6 in Wetzlar ... which Ernst's artistic sister Ella Bocks also had a hand in designing). Today the street has been named Ernst Leitz Strasse, the buildings painted white and are the home of Leica Microsystems GmbH. Leica Camera AG was re-located in Solms a few kilometers from Wetzlar in 1988 (but returned in 2014 to a new building outside Wetzlar). Many Leica Camera AG employees will claim they grew up in Wetzlar with a view to the red Leica logo that was later added (and still exists) on the rooftop of the building to the right. Next to the building is the Leitz Museum which one can go visit to see their large collection of Leitz products. 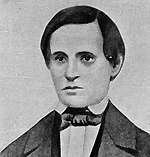 Optical Institute was established by Carl Kellner (1826-1855). 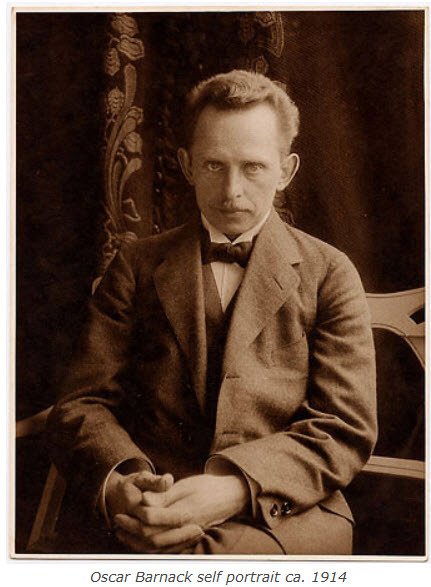 Ernst Leitz I Senoir joined the Optical Institute. 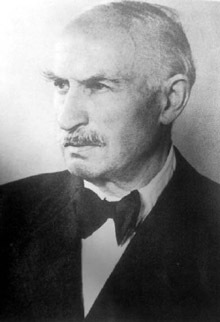 Ernst Leitz I Senior became a full partner of the Optical Institute. 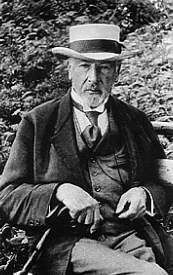 Ernst Leitz I Senior [1843-1920] takes over the company and rename it Ernst Leitz Optical Industry. 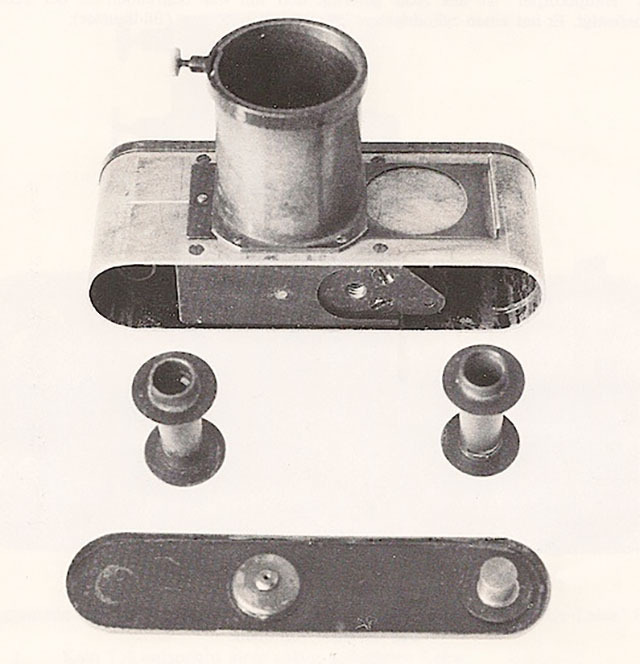 A prototype of the Leica as a microscope camera ca. 1918. Ernst Leica II takes patent on the Leica when visiting New York with the Ur-Leica. Ernst Leitz II Junior takes over the company after his fathers dead. The debut of the Leica Model A (or Leica I) at the Leipzig Spring Fair. The first cameras had Berek's 50mm Elmax lens in a non interchangeable mount. The Elmax name is purportedly named after Berek's dog, Max. (Later, the 50mm Hektor lens was introduced and again is supposed to be named after another of his dogs). Leica sold 1,000 cameras the first year (and had actually manufatured 800 by the day it was presented). Leica presented Leica I number 2000 to Dr. Paul Wolff who later became a great ambassador for the Leica camera (see my article "Dr. Paul Wolff and the Leica"). From the very beginning of the Leica, the cameras came with a warranty card that the camera could be upgraded to the latest Leica version. This of course was a great way to make customers trust that their investment in a Leica was for life. The irony of it - seen with what we know today - of course is that those who had their very first Leica camera upgraded in the 1930's, unknowingly ldestroyed their grankids possibility to sell that very first Leica on auction for some millons. A Leica was $88 retail price in the US in 1928 (equivalent to $1,129 in 2014). 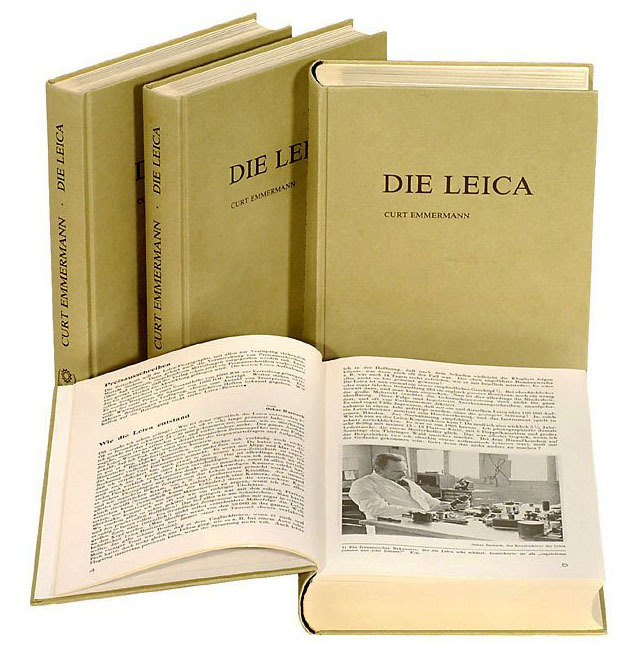 Curt Emmermann founded and wrote the first pioneering Leica magazine, "Die Leica" from 1931-1942 that was the forerunner of Leica Fotografie International that today is known as LFI. "Die Leica" by Curt Emmermann. Legendary German magazine, 1931-1942. The above is a reprinted editon in 4 volumes from 1981. As a measure of the dominance of firstly Leica and secondly, the 35 mm film format, the Soviet government commence production of exact copies of the Leica II at the FED Commune, the first being produced in October 1932, six months after the release of the original Leica II. 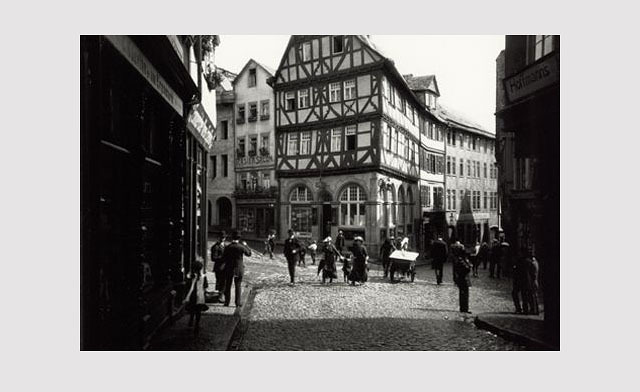 At this time, photographer Anton F. Baumann did Leica slideshows around Germany showing his own photos made with the Leica, and Leica could actually see how their sale raised whereever he went. He also wrote the book in 1938, " The Leica Book in Color". When he emigrated to the US, the Leica employee Walther Benser took over this highly succesful enterprise and expanded it to many other locations around Europe and the US in the following years. This was before television, so thousand people or more would attend a live slideshow where Walther Benser showed slides for two hours and told about how to use the camera. For example in Italy he did a two month tour with 30 shows, as he writes about in his book, " My Life With the Leica" (1990). 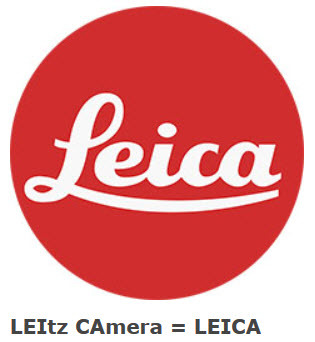 The Leica camera is now the most profitable department of the Leitz company. Leica-photographer Anton F. Baumann’s book "Das Farbige Leica Buch" was published by Knorr & Hirth in Munchen in 1937, the first book with colour plates engraved directly from 35mm transparencies. It was translated to English and published in 1938 as " The Leica Book in Color". 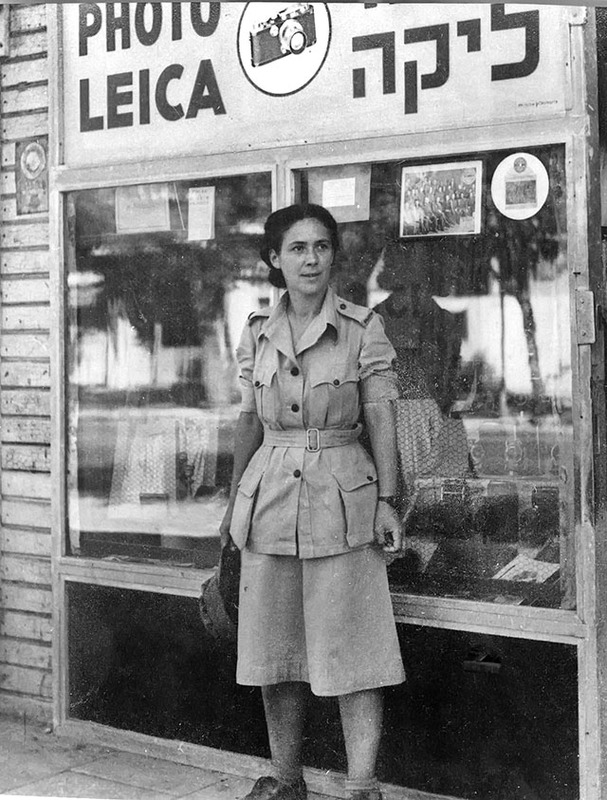 The Tel Aviv Leica Store in 1942. The woman in fron to of the store is Rachel Levy who is wearing the ATS uniform (women's branch of the British Army during the World War II and later merged into the Women's Royal Army Corps) . Leica no 400,000 was made. The Leica M bayonet is designed by Hugo Wehrenpfennig and patentet. Leica establishes the Leitz Glass Research Laboratory that existed till 1989. Amongst the things they worked with and developed was LaK 9 glass. The Leitz Glass Laboratory developed 35 new glasses from 50,000 experimental melts, making Noctilux, Summilux and other lenses possible. 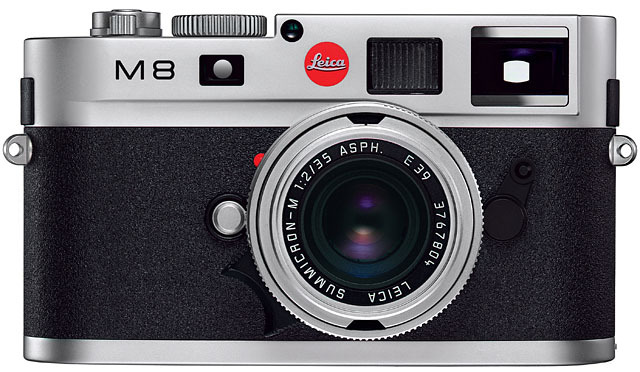 The Leica M3 with the Leica M Bayonet is introduced to the market (model code IGEMO). Photokina 1954 where two employees from Ernst Leitz Wetzlar (Leica Camera AG) carries a wooden model of the new Leica M3 camera model to the fair. © 1954 Photoglobus. Dr. Ludwig Leitz II was a sculptorer and the designer of the rangefinder in the Leica M3. 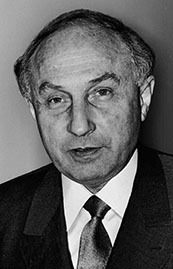 He was also co-owbner of the company from 1956-1974. Immediately after the war it became apparent to Ernst Leitz II that it would take the German industry several years to be able to produce enough goods to start exporting again. On the other hand, the majority of the German population was hardly in a position to buy Leica cameras. 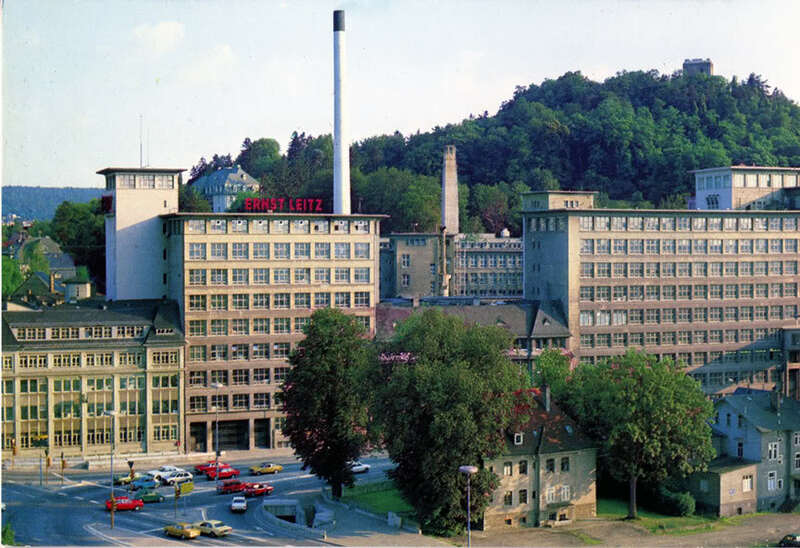 The Leitz factory in Wetzlar, West Germany had suffered only minor damage, but there was still a shortage of certain raw materials, so that the resumption of the production of civilian products was progressing rather slowly. The frightening thought that the Soviets could be at their doorsteps within hours of a new conflagration caused the company patriarch Ernst Leitz II and his sons Ernst Leitz III (1906-1979), Dr. Ludwig Leitz II (1907-1992) and Günther Leitz (1914-1969) to realize the desirability of a safer location for the company, a second repository for its archives and for a core of experienced workers who could carry on the firm's tradition of superb craftmanship in the he event of the loss of the main plant. The Leitz family had to look for a solution. It appeared to have come when Mr. Walter Kluck joined the Ernst Leitz Co.
Before Walter Kluck started to work for Leitz, he had considered opening a manufacturing plant in France, together with a friend. 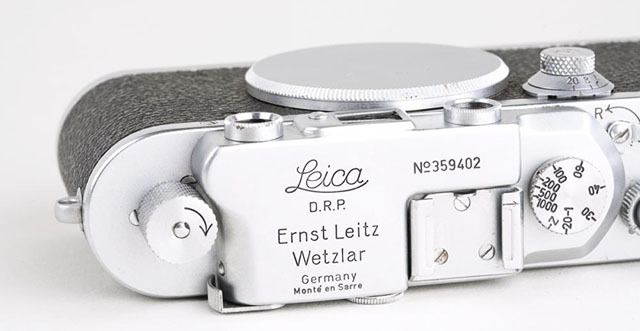 When presenting this idea to the Leitz family, it was generally agreed upon that manufacturing Leicas in France would open the export market a lot sooner. The decision was made to start the operation in the Saar territory which was under French occupation at that time. A lot of regulations had to be overcome, however, and in order to speed things up, some of the machinery necessary was taken out of Wetzlar by night and transported to the new location. So it was by some dubious means that this new venture got its start. Things in Europe didn't look too good, however. The cold war began to heighten and the Leitz family started to make plans to avoid losing the entire operation once again to war. The had lost the market in Russia after World War I. The solution seemed to be an entirely different region. Suggestions like North Africa, South America, Spain and Ireland came up, but eventually someone mentioned North America, particularly Canada. An exploratory team consisting of Dr. Ernst Leitz III and an administrative assistant, Karl Seng (who spoke flawless British English), traveled extensively for many weeks in search of an appropriate location. After a lot of considerations, Canada was finally chosen as the most logical place. 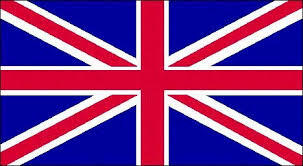 After all, North America was the largest export market (as it is also today where ca. 75% of Leica products are sold). Another reason for going to Canada instead of the US at the time was that the name Leitz was still under alien property control in the US and Leitz would not have been able to use their own name in this country. It was also the case that the American immigration laws at the time were rather tight and it would have taken too long to get entry permission for the number of people necessary to start such a venture. Thus Canada was the best choice! Unfortunately, the new facilities were not quite ready for operation when the “Leica people” arrived. To avoid losing precious time, an assembly facility was temporarily set up in the Midland Ice Arena! Under the leadership of Walter Kluck, the first lens components were finished after only one week and the first completed Leica lenses and cameras were ready after only four weeks. Soon after moving into the new facilities they started not only to assemble but to actually manufacture parts as well. After only three years of operation the Midland design department was established. Initially it dealt only with mechanical designs, but after borrowing an optical designer from Wetzlar, optical design was also taken up. This designer had a very good reputation and it was planned to “loan” him to Midland for only six months. He never made it back to Wetzlar and his skills were primarily responsible for establishing Midland as one of the foremost lens design departments in the entire world. The gentleman's name was Professor Walter Mandler. His crowning achievement was the design of the 50mm f/1.0 Noctilux. The design department became so successful that at the time most of the Leica lenses were designed in Midland rather than in Wetzlar. Otto Geier, supervisor of the Optics Department of Ernst Leitz Canada (on the right), with the legendary lens designer Dr. Walter Mandler. Most of the Leica lenses were designed in Midland rather than in Wetzlar. During the company’s growth period, the key responsibilities were shared by three Walters: Walter Bauer for Manufacturing, Walter Kluck for Marketing and Walter Mandler for Research and Development. Besides the Leica program, Ernst Leitz Canada (ELC) became involved with the production of optical equipment for other companies, such as Hughes Aircraft, RCS and Picker X-ray. All told, there were about 100 companies that did business with Leitz. Besides the civilian market, Ernst Leitz Canada was also heavily involved in manufacturing for the US Defense Department, primarily the US army but also the Navy. The research done for those branches has greatly helped the development of civilian products as well. This is because the requirements of the armed forces are always pushing towards the limits of optical design capabilities, resulting often in the best possible instruments to be developed. One such cast-off to the civilian market was the 180mm f/3.4 APO Telyt-R. The Leitz under water system instead was designed according to the refractive index of water. As a matter of fact, since this system was to be used primarily in salt water, it was the refractive index of salt water that was used in the design of these lenses. However, not all oceans have the same salinity. So Leitz went one step further and took the refractive index of the salinity of the various oceans into consideration. 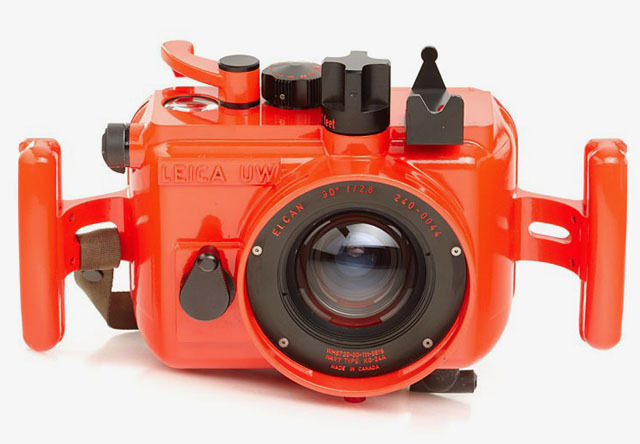 Leica UW serial 240-0044. Sold for 72,000 Euro on November 24, 2012. This was possible with an interchangeable front element of their water contact lenses. This overall design actually considers the water as an integral lens element of the entire system. To avoid the need to test these lenses in the various oceans all over the world, Leitz built a large water tank that could be flooded with water of the appropriate salinity. What is even more amazing is the fact that the thick water contact front element is so strong that the lenses can be used in the greatest ocean depths without any problems at all, including the deepest part on earth; the 36,200 feet deep Challenger Deep of the Mariana Trench. Despite the many exotic projects for the US Army, Elmar also produced quite a lot of civilian and ordinary lenses. One can get an ide by simply searching "ELCAN" on eBay and one will see lenses for Olympus Pen, Canon and many other uses. In the middle of the 70s Ernst Leitz Canada decided to look into the manufacture of cameras as well. Until then the whole operation had been dependent on selling their wares to others. They had been compared to a tire company supplying tires to car manufacturers. Ernst Leitz Canada's success was entirely dependent upon the successes of the companies they supplied. It was decided that the manufacture of cameras would add a great new dimension to the Canadian Leitz operation. After Wetzlar had given its blessing and given 100% support to this venture, all the tooling for the M4 cameras was moved to Midland and a great number of specialists from Wetzlar helped to get this venture off the ground. 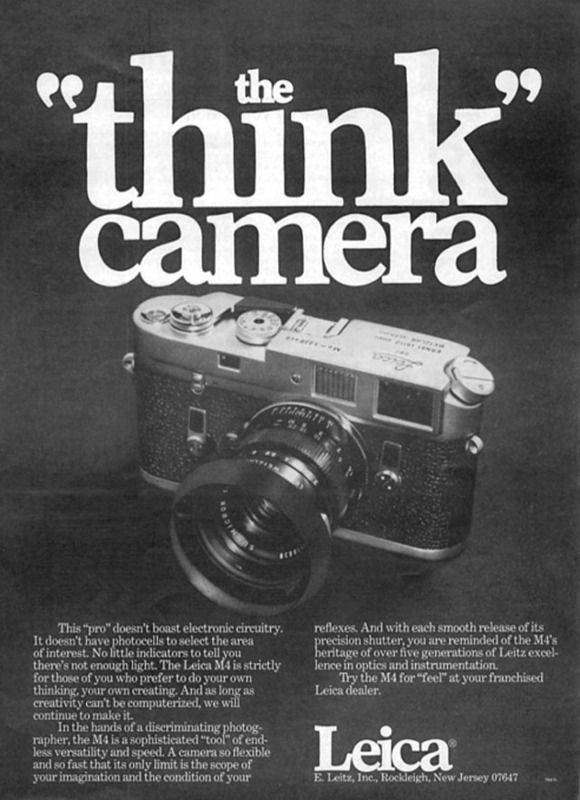 The first camera of this new venture was the Leica M4-2 in 1978. Basically identical to the old M4, it was modified to accept a motor winder which greatly enhanced the versatility of the camera. Soon additional development of this camera resulted in the Leica M4-P in 1981 with the added versatility of a 28mm and 75mm viewing frame and a motor winder capable of running continuously at the rate of three frames per second. One little known fact is that in 1970 Ernst Leitz Canada was awarded the design and manufacturing contract for the new 70mm IMAX projection system and in 1983 Ernst Leitz Canada began work with Panavision for their state of the art cinematographic lenses. 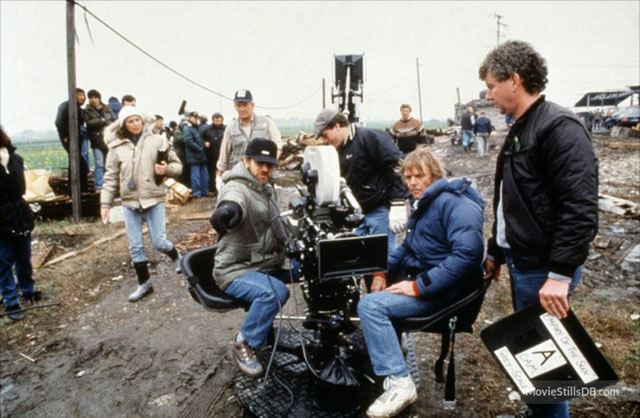 Steven Spielberg's "Empire of the Sun" from 1987 is one of the movies that was made with Panavision Primo-L Lenses from ELCAN (and was Oscar-nominated for Best Cinematography). These are just two examples of the many designs and manufacture they did for outside companies, both for civilian and military use. Read more about Leica and Cine lenses in my article " The Leica Summilux-C and Leica Summicron-C Movie Primes"
Steven Spielberg on the set of Empire of the Sun in 1986 where they used, amongst others, a 800mm Panavision Primo-L lens from ELCAN. Thus Midland had developed into a fully independent camera and lens manufacturer by the end of the 70s. Their name Ernst Leitz Canada and their trade mark ELCAN have earned the highest reputation throughout the world and it was only a matter of time until additional new and exciting developments from this branch of Leitz would make the news. When Leitz decided to build the manufacturing plant in Midland there was no doubt that it should operate and manufacture at the same high standards that the world had grown accustomed to with the products from Wetzlar. Thus it came as no surprise to me on my first visit to Midland that the interior was very much like that in Wetzlar. 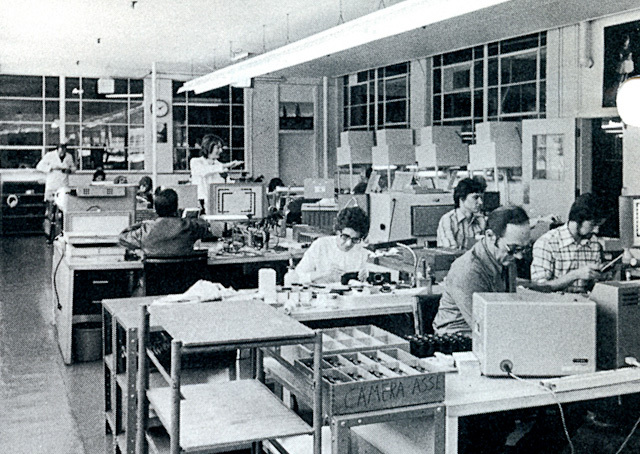 Although the buildings were not anywhere near as large as the main plant in Wetzlar, the interior of the actual work areas was almost identical. Quality control was as tight as in Wetzlar. Everywhere, regardless of what work was being performed, there were people doing checks and rechecks. Virtually all workbenches had some sort of testing instrument on them. The whole place had a rather unhurried atmosphere. The workers were under no time pressure at all. Everyone could take the time necessary to do things right. This was further enhanced by the total absence of assembly lines. All work was done on individual workbenches. The same was the case in the lens grinding department. A lot of the work was performed by machines, but some lens elements would be grinded by hand. It is a known fact that nothing can replace hand grinding when ultimate precision is of the essence, and Leitz was still doing it. 1982 marked the 30th anniversary of the Midland operation. It had established itself as one of the foremost optical design companies in the world. November 1990: The Hughes Aircraft Company, California, purchased Ernst Leitz Canada Ltd., and the Company’s name was changed to Hughes Leitz Optical Technologies Ltd. Hughes Aircraft relocated their equipment/machinery and technology of a sister operation in Des Plaines, Illinois, to Midland. Long story short, the company Raytheon acquired the optical departments of Texas Instruments and the Midland factory, and is today named Raytheon ELCAN. The original Leica building in the center of Wetzlar, Germany anno 2013, now housing only Leica Microsystems. 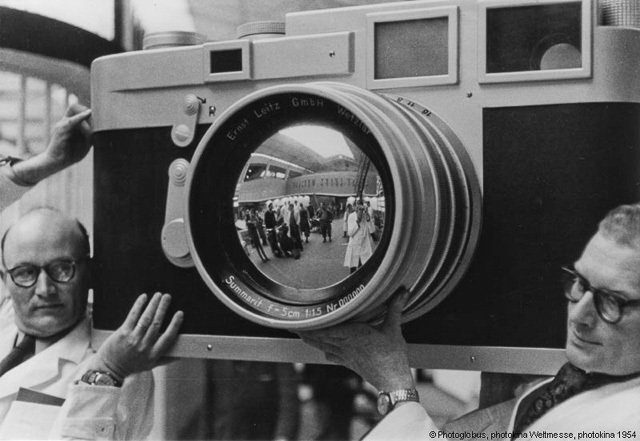 A man looking at the 560mm telephoto lens on exhibit at Photokina Fair in 1966. (Photo by Walter Sanders/Time Life Pictures/Getty Images). They also made a 800mm lens. The sons of Ernst Leitz II; Ernst Leitz III, Ludwig Leitz and Günther Leitz, take over the management of the firm after their father's death. In April production starts in the Oberlahn plant. Also this year Leica introduces the 800mm Tele Elmarit-R lens at Photokina, the lens that was sold in the US with a complimentary Volkswagen beetle with it! 1966 is also the year Leitz introduced the Leitz 50mm Noctilux-M f/1.2, which incorporated aspherical surfaces. Dr. Knut Kühn-Leitz (born 1936, grandson of Ernst Leitz II and son of Elsie Kühn-Leitz) joined Leica as executive assistant to Ernst Leitz III. He was instrumental in the cooporation with Minolta Camera Company and the establishment of the succesfull production in Portugal and remained in the company (appointed managing director from 1971) till the Leitz family sold their shares. He lives in Wetzlar where he takes care of the Haus Friedwart and have written several books about the Leitz Family. The most recent, Ernst Leitz II: "Ich entscheide hiermit: Es wird riskiert" (May 2014). Knuth Kühn-Leitz in Villa Haus Friedwart in Wetzlar, April 2014. © Thorsten Overgaard. Leica supplied a Trinovid 10 X 40 especially modified monocular for the NASA Apollo 11 which became the first optical device used on the moon. 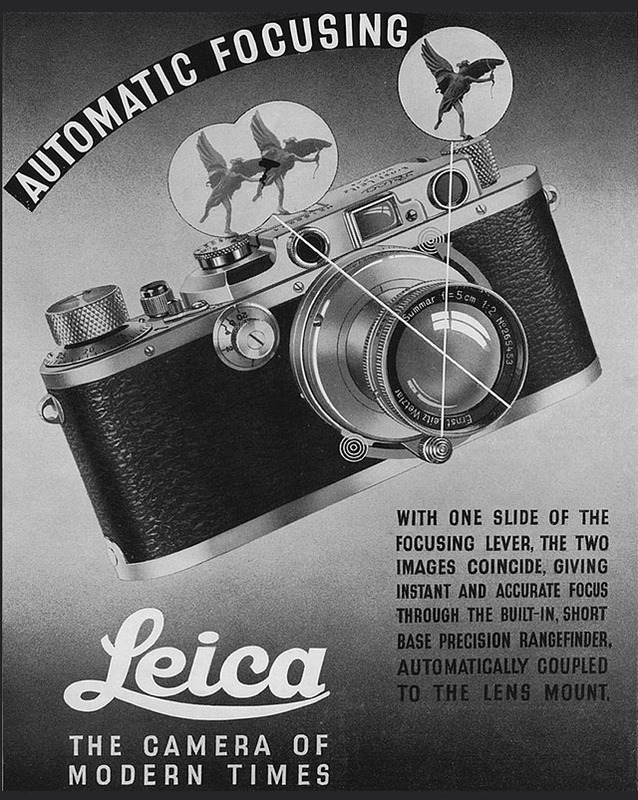 A Leica ad from the 1940s talking about autofocus. In all justice it should be said that Leica Camera AG in fact invented AF in the 1970's but decided nobody would want it - and sold the patent. 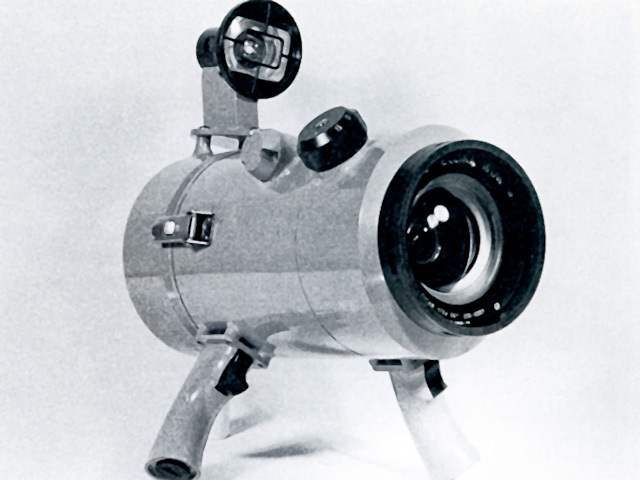 Prototype of the Leica auto focus system. Leica Camera AG invented the auto focus system in the 1960's and patented a number of autofocus technologies 1960 - 1973, but judged that nobody would be interested in it. They sold the patent to Minolta after two "unsuccesful" presentations at Photokina in 1976 and 1978 and stayed with manual focused lenses. 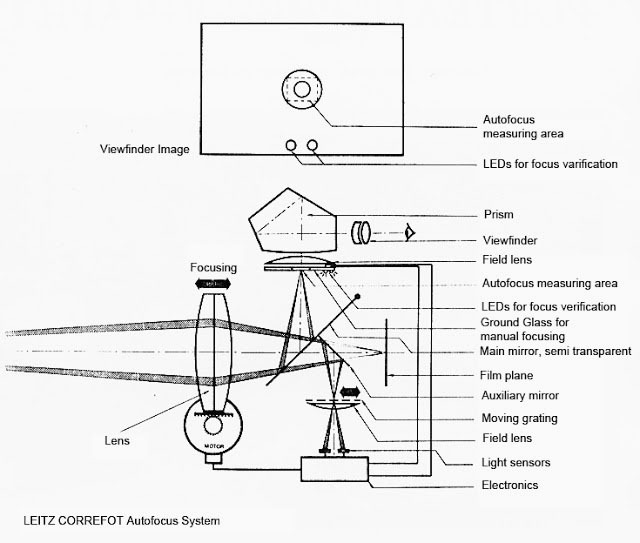 The Leica auto focus system "Correfot"
Advertisement for the Leica M4 introduced in 1966. 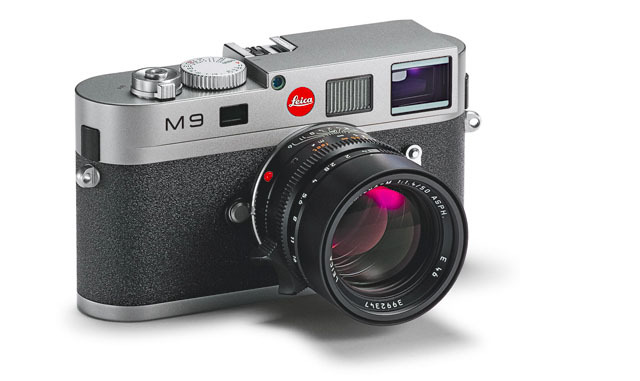 One of the best-selling Leica M cameras (along Leica M6 and Leica M9). Beginning of cooperation between Leitz Wetzlar and Wild Heerbrugg, a company founded in 1921 in Switzerland manufacturing different optical instruments, such as surveying instruments, microscopes and instruments for photogrammetry among others. Wild boiught 25% of Leitz to begin with. The Portugal plant in Vila Nova de Famalico near Porto starts production. The reason Leica started production here was they had the opportunity to buy a precision watch factory that had gone bankrupt. By buying this factory they acquired not only a factory and precision tools, but also a workforce (of mainly women) who knew how to do precision work. See further down about the 40th anniversary and new factory in Portugal that opened in 2013. CEO Dr. Werner Simon with Henri Cartier-Bresson in 1988, presenting him with a Leica M6. The Leica M6 was released with internal lightmeter, and later the Leica M6 TTL with lightmetering Through The Lens. 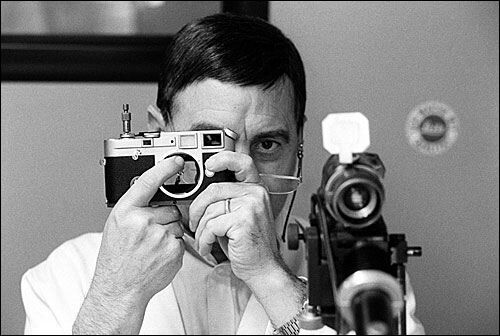 Dr. Werner Simon was the chairman of the photographic division of Leitz in 1984, and he was one who strongly pushed for the Leica M6, believed the real revolution of the unit, as he was convinced that with a modern light meter, it would make a bold statement in the market for Leica. He served as Leica CEO from 1987- 1993. On the January 1st, 1987, Ernst Leitz Wetzlar GmbH and Wild Heerbrugg AG merges to form the Wild Leitz group. The new company employs a total 9,000 people. The factory moves from Wetzlar to Oskar Barnackstrasse in Solms, just 10-15 minutes drive from Wetzlar. The factory remained here till it moved back to the newly designed and build factory in Wetzlar in April 2014. The merger of Wild Leitz Holding AG with The Cambridge Instrument Company plc creates the new Leica Holding B.V. group. So now the Leica name also stands for the leading manufacturer of microscopes, surveying and photogrammetry systems, as well as optical-scientific instruments. Incorporation of the Zett-Geräte-Werk (former Zeiss-Ikon) into the Leica Camera Group and foundation of Leica Projektion GmbH. Leica Microsystems GmbH (including Leica Biosystems), Leica Geosystems AG, and Leica Camera AG is now three completely independent companies without any remaining legal, operative or financial linkage. Leica Camera AG is today listed on the Frankfurt stock exchange, with ACM Projektentwicklung GmbH (Salzburg, Austria) holding more than 96% shares. Leica Geosystems AG is a Swiss company and part of the Swedish Hexagon Group. Leica Microsystems GmbH is a German company owned by the US concern Danaher Corporation listed on the New York Stock Exchange. The use of the Leica brand is the only remaining connection between the three companies, on account of the long history and heritage of these now independent companies. Leica Microsystems is the owner of the Leica trade name and trademark and has granted licenses for their use by the other companies. For a unique look into the Leica Camera AG in Solms in 1994, click on this image to see a series of photos by German photographer Holger Jacoby. Matsushita (Panasonic) started making all their cameras with Leica lenses (all lenses made in Germany but assembled in Japan). From 2006 and onwards Leica lenses are made in Japan to Leica specifications by Panasonic with 2 main differences: Lenses made for the Leica branded camera's are made on German made imported machines using Leica lens coatings, whereas Leica lenses made for Panasonic Lumix branded camera's are made on Panasonic mass production machines to (minimum) Leica specification but use Panasonic's own Nano-coatings. On April 1st, Leica takes over the camera division of Minox GmbH, manufacturer of sub-miniature and miniature cameras. On July 25th, 1996 the Leica Camera GmbH is transformed into a public company. Now the company is called Leica Camera AG. The 31st Dcember 1998, the Leica Camera AG patent for the Leica M bayonet mount ran out, opening up for 3rd party lenses with Leica M bayonet mount. Leica Camera AG started coorporation with Panasonic (Matsushita), developing lens designs for Panasonic Lumix cameras, Panasonic cameras and Panasonic video recorders, as well as some of the Panasonic projectors (only those with the "Leica" are made by Leica). The coorporation also includes co-production of later Panasonic/Leica "twin cameras" sauch as the Leica Digilux, Leica D-Lux, Leica V-Lux. Some developed and produced by Panasonic, with a Leica edition designed by Leica, others developed by Leica and produced by Panasonic (the Leica Digilux 2 is one such). Andreas Kaufmann and his two brothers buys Weller Feinwerktechnik in Wetzlar via ACM Projektentwicklung in Salzburg, the family holding company. In 1994, Uwe Weller took over Leica Camera AG’s machining division, which became the Weller Feinwerktechnik. (In 2005, the mechatronics division of Leica Microsystems in Weilburg was integrated into the business, followed in 2006 by the machining division of the Zeiss-Hensoldt Group in Wetzlar). Andreas Kaufmann and his two brothers buys Via Optik in in Wetzlar as a part of the strategic investment of the Kaufmann family in Wetzlar’s optical industry. Via Optik was founded in 1922 as Feinwerktechnik Wetzlar GmbH, as part of the Ernst Leitz GmbH as a supplier of mechanical components. In 1965 they made the bright viewfinders for SLR cameras. Andreas Kaufmann and his two brothers buy 27.4% of Leica Camera AG via ACM Projektentwicklung in Salzburg. They already know the Leica people quite well as they already have bought one company from Leica Camera AG (Via Optik) and are subsupplier via anohter (Weller Feinwerktechnik). Announced in 2006: Leica M8 in chrome. Also available in black. The Leica M8 digital camera had a few problems in the beginning that required Leica Camera AG to issue free filters to their customers. Without IR cut-filters black tones in certain light conditions would turn purple: The UV-filter in front of the sensor was simply too weak. A feature that later turned out to make the Leica M8 perfect for infrared photography. Amongst others, Lou Reed had much fun using the Leica M8 for infrared photography. "I have to confess I haven't used my Canon 5D since getting an M8. But then again the same thing happened to my film SLRs when I bought my first M - an M2 - a number of years ago, so I haven't been surprised. "I still use my Canon 5D along with my Leica M8, but I use my Canon Mark II's and a large selection of lenses (from 8mm - 500mm). When you are a working photo-journlist, the Leica M8 becomes just another tool in the bag. Yes, I must say that the Leica M8 bag (a Domke F-6 Little Bit Samller Bag) now goes on every assignment (even If I do not get a chance to use it)"
"I sold the Canon 5D when I got the M8, but I still use the Canon MK II Ds"
"It depends completely on the type of assignment. If I need longer f/2.8 zooms, as when doing theater work or sports, I'll still use the 5D. 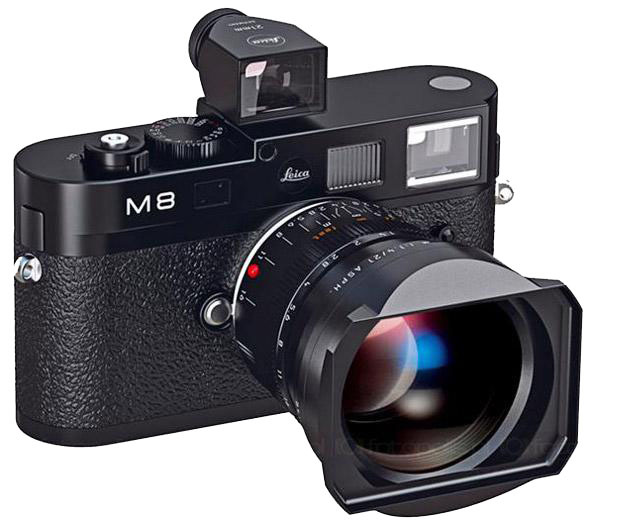 But for any kind of portrait, documentary and editorial work I almost always opt for the M8. The 5D is an excellent camera, but I prefer the look of the M8 images. I also find the somewhat smaller file size a bit more manageable when I come in with several hundred RAWs." "well ... I've been using the Leica M8 for like a month and a half. now. as much as i wasn't totally impressed the first time 'round ... I have perhaps changed my feelings about it ... and ... as much as i want to fight it ... give me an m8 ..."
CW Sonderoptik is established in Wetzlar by Andreas Kaufmann to develop Summilux-C Cine Lenses. A new metal blade focal plane shutter that reduced the shutter sound to nearly a whisper, a new scratch-resistant sapphire crystal as cover glass for the screen on the back of the camera, a "S" snapshot mode (where the camera decides everything but aperture and focus) as well as a new compact charger. The 2008-edition Leica M8.2 with Leica 21mm Summilux-M ASPH f/1.4 and 21mm external viewfinder on top. Most notable, the replacement for the 1969 edition Leica 50mm Noctilux-M f/1.0 was announced; as the 50mm Noctilux-M ASPH f/0.95 was introduced as a new and most impressive low light lens for the 35mm camera range. Also two other impressive lenses were introduced in the Leica 21mm Summilux-M ASPH f/1.4 (pictured on the Leiac M8.2 camera above) and the Leica 24mm Summilux-M ASPH f/1.4. Leica also introduced a new compact Leica 24mm Elmar-M ASPH f/3.8 lens for the M cameras. Leica plan to start delivery of the Leica S2medium format digital SLR camera as well as the first four lenses from November 2010 (with another five to follow shortly). In February 2009 Leica announced that they would stop the production of the traditional R-lenses as well as the Leica R9 film camera. Remaining stocks were sold with 25-50% discounts. 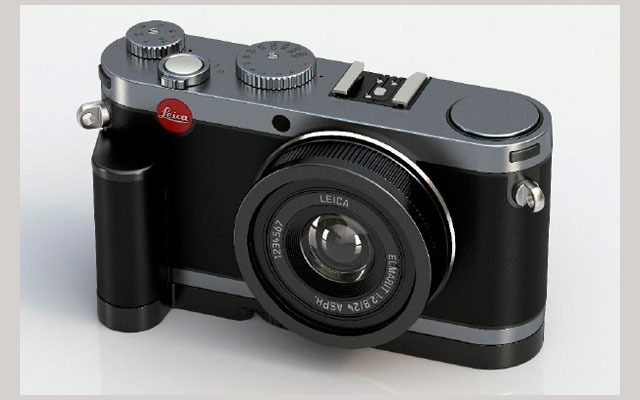 In July 2009 Leica Camera AG announced that they would not develop a Leica R10 fullframe digital SLR camera based on the Leica S2, with new auto focus R-lenses, as promised. They were of the opinion that the promised camera would turn out to be so expensive that there would be no market for it. Though they would at a later stage present "a digital solution" suitable for R-lenes. Meanwhile, it ain't over till it's over! there is many great second-hand Leica R lenses, and these can actually be used on Canon dSLR cameras (such as the Canon 5D Mark II or Canon 1ds Mark III) using for example the Novoflex Leica R to Canon adapter. It's still manual focus lenses, but with focus confirmation in the Canon camera. Another possiblity is to have the Leica R lenese refitted with Nikon bayonets by the company Leitax (thogh that will make the lenses unusable on Leica R cameras). On february 20, 2009 Leica introduced the Leica 18mm/3.8 lens, an accompanying 18mm viewfinder and a new Leica 58 flash for all Leica cameras - (the flash will fit the Leica S2 as well). 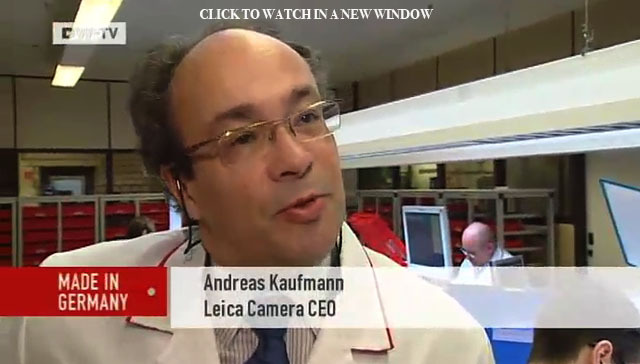 See this tour of the Leica factory from Deutche Welle TV [DW-WORLD] and interview with Leica CEO Dr. Andreas Kaufmann, Berlin photographer Jim Rakete on the Leica past, present and future. Click on the picture for the video to open in a new window. On September 9, 2009 at 9:09 AM Leica announced that they would present what Leica Camera AG CEO Rudi Spiller called "a collection of new groundbreaking products." As soon as the video below came out on August 31, 2009, speculations went like a wildfire, and within hours it was reported that the long awaited/rumored Leica M9 was actually shown in the video as a teaser. And if you watch the video at 0:54 you will notice an ISO button on the camera back that is not on the Leica M8 or Leica M8.2. Few seconds later in the video, at 0:58 you will notice that the top plate of the camera is missing the picture counter and that the round left side of the body has been lowered. In matter of hours from then people from all walks of life had used their personal knowledge to try to 'reverse-ingeneer' the actual M9 from the two small glimpses in the video. Did it in have the same size or would we be presented for a new "German Tank" a la the slightly bigger Leica M5 (that looked like a monster because Leica had to incorporate lightmeter technology into the camrea)? Would it even be technically posible to maintain the size of a "classic Leica M" and still achieve a full frame sensor? One Leica user had used special software to figure out the sizes of the new M9 based on the size of the flash shoe (and had it almost right). The teaser video on YouTube revealing first sights of the new Leica M9 - Leica's return to full frame 24x36 mm which they originally invented in 1908. A few days later, on September 2, 2009, this prewiev of the Leica M9 digital rangefinder camera and a (totally unexpected model, the) Leica X1 appeared on Flickr by a user in Vietnam (where the Leiac X1 was made). And was removed within two hours from posting when only 250 people had viewed it! If it was the user himself or if Leica had something to say on this, nobody knows. But it fueled the speculations further. First sight of the Leica M9 via Flickr. Fact og fiction? Could be pretty close to reality per the glimpses in the video above and the specifications revealed 'by accident' on the Japanese Leica site later in the day (see below). Leica X1 fist sight via Flickr. Fact og ficion? It looked like a cool idea, a digital version of the original Ur-Leica and the Minilux with its legendary 40mm f/2.4 lens. This one has a 24mm Elmarit f/2.8 fixed lens (which becomes a 35mm lens due to the smaller sensor). But nobody had ever heard that Leica worked on such a camera ... could it be just a computer-made design? 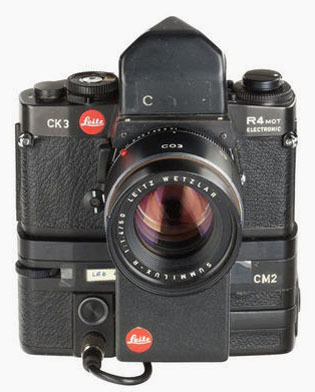 Would it have interchangable lenses and thus perhaps be a remake of the Leica CL that was the compact smaller camera that took M lenses in the 1970ies? Nobody knew, nobody had expected Leica to come up with a new camera like this! Later the same day, a Leica user was able to find an official M9 presentation on the Leica-Camera Japan website. This had been there long enough for translations to have been saved in web hisgtory, though the site itself was removed and the webmaster had set up an active filter to prevent any serarch engine to remember what was there. 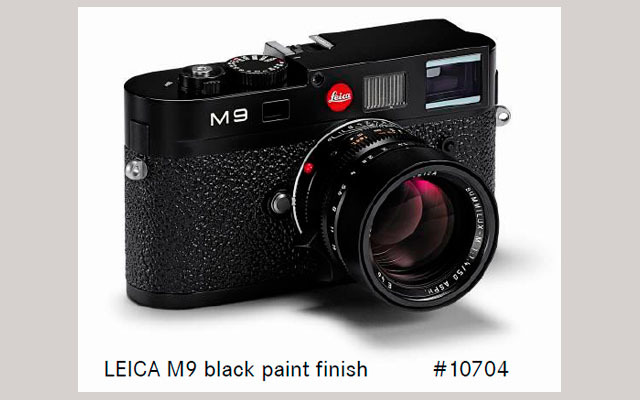 But before it disappeared in smoke, the Japanese Leica website revealed a Leica M9 full frame 24x36mm 18 MP camera available in black paint and painted grey. No need for IR/UV filters anymore. The body measures 139 x 37 x 80 mm. A 2,5" monitor on the back, revised button layout (with an ISO button on the back). Could this really be true? Leica had so far stated that a full frame sensor would be impossible on a Leica M, and who had ever heard about a painted grey Leica M ? Repeat after me: Leica is Great! In 2008 Leica Camera AG had officially said (once again) that a full frame Leica M was impossible. 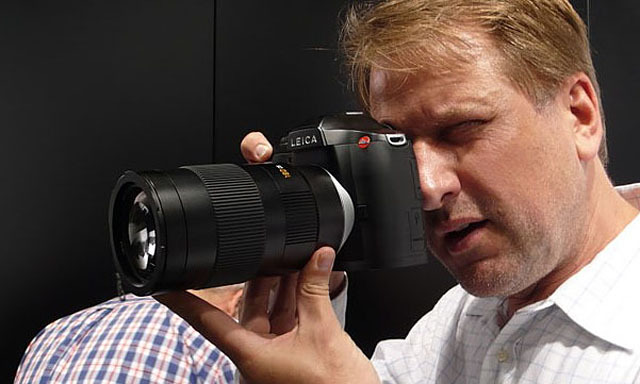 In July 2009 - two months before the introduction - the head of product development, Stefan Daniel (see below) had revealed that Leica Camera AG was in fact working on a solution, but that it would take considerable time. As it turns out, Leica was not only able to present the Leica M9 with full frame sensor on September 9, 2009 at 9:09 in New York, they had also had a number of photographers beta-testing the Leica M9 since July 2009. The presentation also revealed a final production sample of the new Leica S2 medium format camera and a Leica X1 with APS-sized CMOS sensor. Leica M9 digital rangefinder - "Leica M Reloaded"
The Leica M9 in metal-grey paint with a black Leica 50mm Summilux-M ASPH f/1.4 lens on. You can read my Leica M9 article with test photos, tips and tricks here. An article that has since then beome known as "The Worlds (Possibly) Longest Camera Review" with more than 18 pages with four years of continious user-reporting based on photographing more than 160,000 images. The main reasons for the increase given in the Half year financial report from Leica are the newly developed cameras Leica M9, Leica X1, Leica S2 and the V-Lux 20. Even the bulk of product development of the M9 and S2 was in 2009 and prior, Leica has almost doubled the amount spent on product development in first half of 2010. Operating result (EBIT) improved from € –7.2 million first half of 2009 to € 13.9 million for first half of 2010.